Are you a member of “muddle” management? Being in the middle is tough. 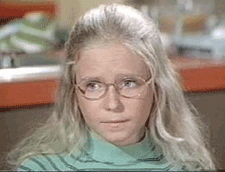 Just ask Jan Brady… she was constantly trying to figure out if she identified more with Marcia or Cindy. I’m not sure she ever figured it out. Do you ever feel like Jan? Not sure if you identify more with your front line employees or your bosses? If you answered yes, you are not alone. It’s an all-too-common tale… especially as a new leader, our tendency is to want our employees like us and our bosses to respect us. Because of this, we may impose “filters” in our communication that don’t need to be there. We may also represent things in the absolute most positive light back up to the top leaders because we don’t want to look bad. What you are left with is a confused and demotivated front line and an uninformed leadership team. Congratulations! You are now a full-fledged member of muddle management! The unfortunate part is that when we don’t communicate our true needs to the decision makers (because we don’t want to look bad) we can’t get the resources we really need. Top leaders are then frustrated when they see things not being taken care of. I have also even seen this play out with experienced leaders in senior positions. I once sat in a meeting with an Operations Director who told his management staff that while overtime was not ideal, if it was needed, use it, but just give him a heads-up. Literally right after this meeting was another meeting (Joy!) where one of the Directors “middle” managers had a meeting with his staff. He told his supervisors that there was to be NO OVERTIME AT ALL for the front line employees! I was stunned. Had we just sat in the same meeting 30 minutes before? I came away from that experience feeling like the middle manager was afraid to tell his boss that he couldn’t operate with no overtime, or he didn’t want to have to explain why he needed it. Either way, his staff suffers the consequences of his fear – they now have to operate short staffed or be overly concerned about hours – making it difficult to focus on the guests. It’s easy for me to say the solution is to openly communicate with both groups. Be honest with your employees about what is going on and be honest with your boss about what you need. What’s so difficult about that? I’ve been in that position, and there is plenty difficult with that. If you are a middle manager, how do you deal with balancing the communication to and from your front line employees and your bosses? I would love to hear your thoughts, as I am sure your insight will help others! Don’t let your team (or yourself) fall into muddle management. Communication is the key! Let me help you unlock the lock! If you have been reading the blog for awhile, you have probably heard me mention Anthony Melchiorri (@AnthonyHotels) of Hotel Impossible. He does a great job of helping hotel managers and owners turn their business around. Well, I’ve tweeted to him and he’s replied. I may be showing my age here, but I thought it was cool to interact with someone who is on TV. Growing up in the 70’s and 80’s, not only was this not the norm, it was downright rare. But now, access to anyone at anytime is right there for the taking. Social media has created a connection between celebrities, companies and anyone with a Facebook or Twitter account. From a marketing standpoint, this helps create loyalty and relationships that traditional marketing can’t touch. It creates a transparency that many consumers crave so they can really feel good about doing business with a particular company. From a leadership standpoint, this transparency can also help build loyalty and trust among your staff. But there could also be a downside. One of the mantras I heard as a young leader was to not go out after work (especially to parties) with your employees. It is possible to learn things you don’t want to know, and too much “transparency” in this case can really blur the line between friend and leader, which could undermine your authority. Today, being connected to your employees via social media can provide the same access. Is this what you want? Are your employees expecting it? Do you think your employees are expecting the same access to you that they have with other brands and companies? If so, how and where do you draw the line to maintain the integrity of the leader/employee relationship? I don’t know that there is one clear-cut answer to this. I would love to hear your thoughts on how you are handling it. Have we taken the SERVICE out of guest service? Had another service experience recently that I thought was very interesting. I was at a local Walgreens (drug store) and approached the checkout area. There were no other guests around, and behind the counter was a well groomed individual named Blaine. As soon as I got close enough, Blaine greeted me with an enthusiastic, “Hello”, complete with a smile and appropriate eye contact. He scanned my item, and then it was my turn to go to work. I was paying with a debit card, so I swiped it, entered my pin, declined the cash back, accepted the amount and okayed the transaction. During that time I happened to glance up at Blaine, who was literally staring off into space. If you were chart Blaine’s brain activity through this interaction, I imagine it would look like a big U or V… up, then down, then back up again. But this isn’t Blaine’s fault. Blaine is engaged in the parts of the transaction he can be engaged in. With the advent of self-serve terminals (and many other “process improvements”) we have literally taken the employee out of the service equation for a period of time. If Blaine was less conscientious, his blank stare could have leaked into the other parts of the transaction. How many times have we seen that, before? This is not a new phenomenon, nor does it happen only at Walgreens. It happens all over the place, and before we curse the quasi brain-dead employees, take a look at what they are being asked, or not asked, to do. Ask how I was paying, eliminating a potential point of contact and conversation. Swipe my debit card, where he could have seen my name and used it in the interaction. Engage in conversation about purchased items – he was being polite by not interrupting my “work” so I wouldn’t mess it up. In other words, Blaine didn’t have to think. He could just remotely go through the motions to complete the transaction. If I could have scanned my own item, there would be no reason for him to be there at all (like the many self-checkout lanes popping up all over the place). In terms of providing a service, each one of the actions above can build rapport with a guest, which creates value above and beyond the item purchased (and makes people want to come back!). When we take the ability to interact and think away, and ask our employees to simply scan items and hand over a receipt, we have created a system that actually discourages providing service. Surely that wasn’t the intent, but it happened. A wise man once said, “Only an idiot will want to do an idiot-proof job.” Your employees aren’t idiots, but they do need guidance. Let me know if you need help with that. The other day I went to Staples. Twice. I went in for one thing, got out to the car and remembered I needed something else. We’ve all done this. So back into the store I go. It wasn’t very busy, so I got what I needed very quickly and went back up to the register, seeing the same cashier I had just interacted with not 5 minutes before. By her smile, I could tell she recognized that I had just been there. Now, I was wearing one of my favorite Life Is Good shirts (pictured) and I can see that it would be memorable. But I was a little disappointing that she didn’t remember me. I know that I have used clothes as a visual cue to engage people in conversation. I know that I have taught and encouraged others to do the same. My dilemma is that as a consumer, I want to be remembered for being ME, not for my clothing. So I need your help. I’m glad that she noticed something to use as a visual cue, but I can’t help remembering how I felt when she said she remembered my shirt instead of me. What do you think? Am I being too sensitive or was there a better way to handle this? Please leave a comment below. I DO know how I feel about customer service, leadership and teamwork. Click here to learn more.